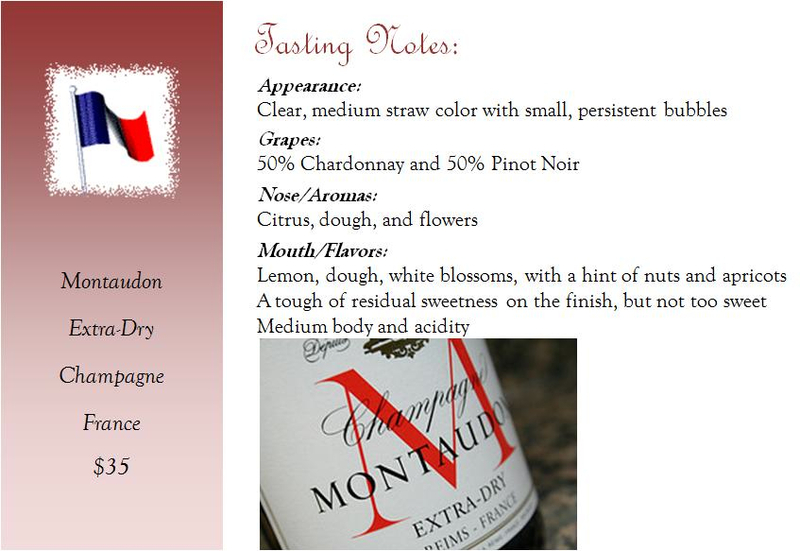 For those of you who are Facebook fans, you already know that, at the end of May, I was working on a wine tasting for work. After having put together a Spanish wine tasting for coworkers during our April slow period, one of my colleagues talked to The Big Boss about my wine experience and about our staff bonding event. He was thrilled, and, as a wine lover himself, thought it would be fun to have a wine tasting for the staff in both of his DC offices. The tasting was held the Tuesday before Memorial Day. Half of the people attending the wine tasting were at my Spanish wine event, so I decided that instead of doing a second Spanish-focused tasting, this one would be a “World Tour of Wine.” As the fun part of a tasting is being able ­to try new wines and broaden wine horizons, I wanted to focus on wines that moved away from the typical Cabernet Sauvignons, Merlots, and Chardonnays by presenting varietals that are easy to find in wine stores, but that many inexperienced wine drinkers might shy away from buying. 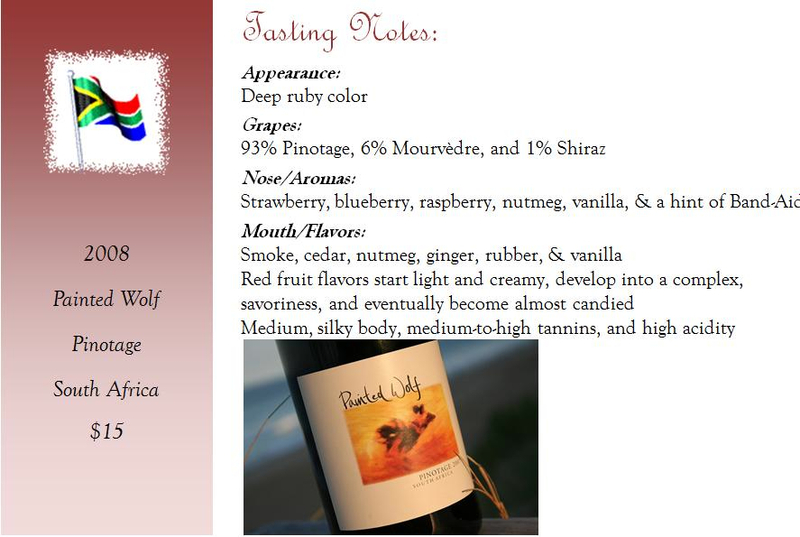 Additionally, since I was expecting 30+ people at the event, I wanted to make sure that I covered a range of wine styles. With all of that in mind, I decided to begin the tasting with a traditional French Champagne—Montaudon Extra-Dry (snooth). 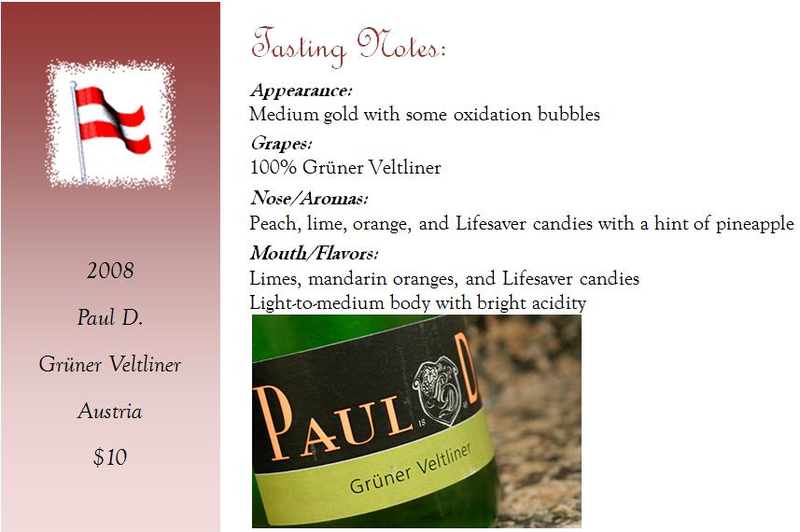 The palate cleansing & revitalizing sparkler was followed by two white wines—a 2008 Paul D Grüner Veltliner (winery, snooth) from Austria and a 2009 Spy Valley (winery, snooth) from New Zealand. 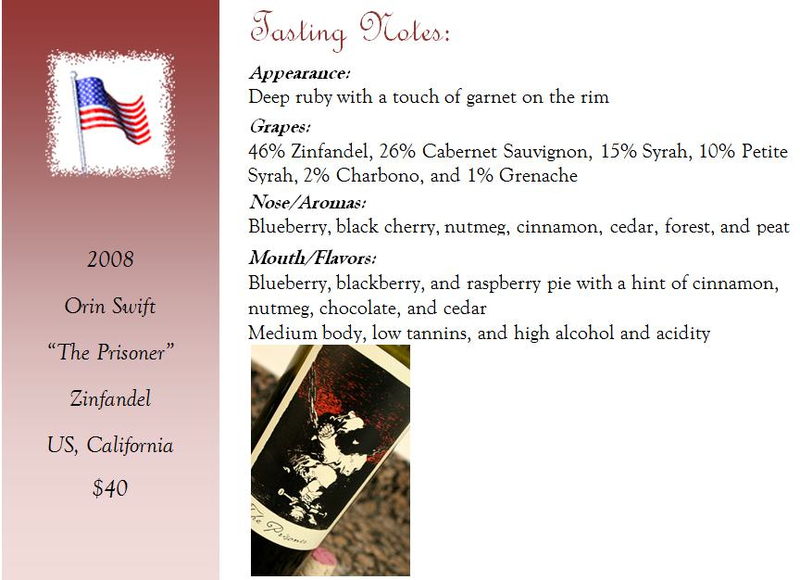 Following the lighter white wines were a South African Pinotage—2008 Painted Wolf (winery, snooth)—and a California Zinfandel blend—2008 Orin Swift’s “The Prisoner” (winery, snooth). 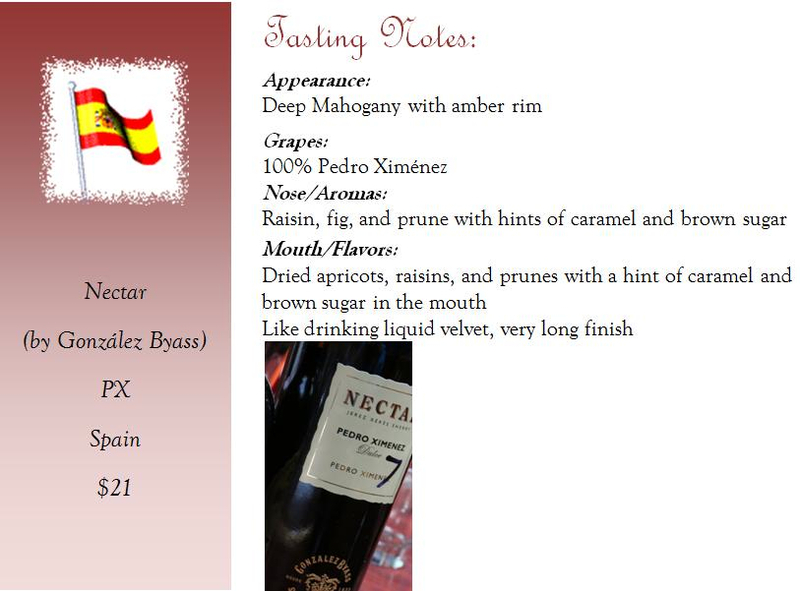 The tasting finished with a Spanish Sherry—Nectar by González Byass (winery, snooth). Everyone enjoyed the Champagne, which was no surprise to me or to them. However, the other wine that received the most questions and the most refill requests was Orin Swift Cellers’ The Prisoner, followed closely by Paul D’s Grüner Veltliner. The wine that received the most mixed reviews was González Byass’ Nectar, although everyone was happy to have tried it as almost everyone mentioned that it was not a wine they would have tasted on their own. The Big Boss was very happy with event, particularly as he found a new wine that to enjoy. My coworkers tasted some wines that they loved, as well as some wines that they didn’t like, but there was a lot of conversation about those wines, as the likes and dislikes varied greatly. All in all, it seemed like everyone had a good time and that the tasting was a huge success. ***As a note, while the wines above are the ones I planned to offer and prepared tasting notes for, the wine store was actually sold out of the Spy Valley on the day of the tasting. Therefore, I used a 2009 Oyster Bay Sauvignon Blanc (winery, snooth) as a fallback. 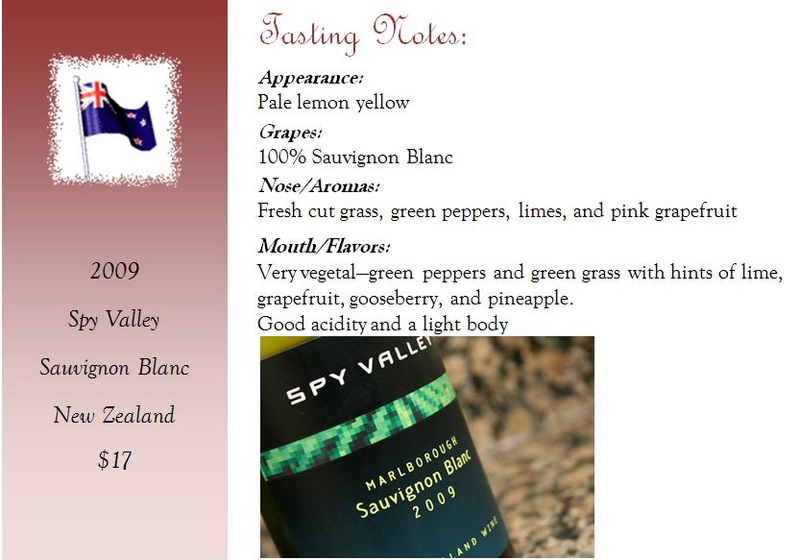 I will do a separate review for the Oyster Bay, but wanted to keep the Spy Valley as part of this tasting, as I thought it was a slightly better wine.